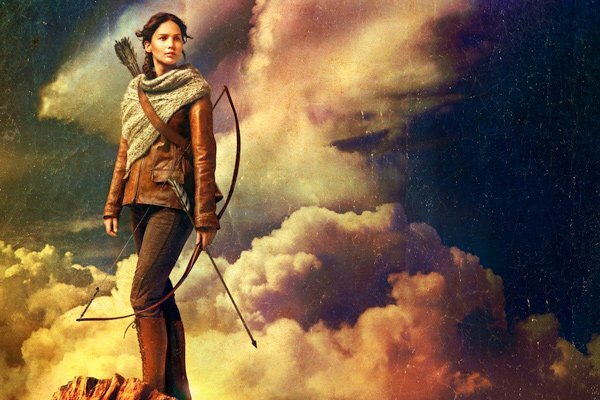 The people behind The Hunger Games: Catching Fire aren't stupid-- they know that fans of the book are turning out in droves and that they're going to demand to see all the highlights of the book they love. Nobody's going to recast Finnick as a frumpy woman, no one's going to leave out the acid mist in the arena, and everything's going to happen in the right order to set up the action of Mockingjay (in two parts, no less!). But no book ever gets adapted to the screen with 100% accuracy, and even more so than The Hunger Games, Catching Fire risks a few changes that make an enormous difference in the quality of the story. Some of the changes are holdovers from the first film-- we see conversations between President Snow and the Head Gamemaker that didn't exist in the book, and Katniss's endless internal monologue becomes Jennifer Lawrence's incisive performance. But a few others are specific to this story, and make an enormous difference in how effective the movie is, from using basic props and camera work to say things without dialogue to adding key characters in scenes where they can make a lot of impact. Below are the 56 most important changes that alter Catching Fire for the better; let us know which changes you noticed in the comments below. 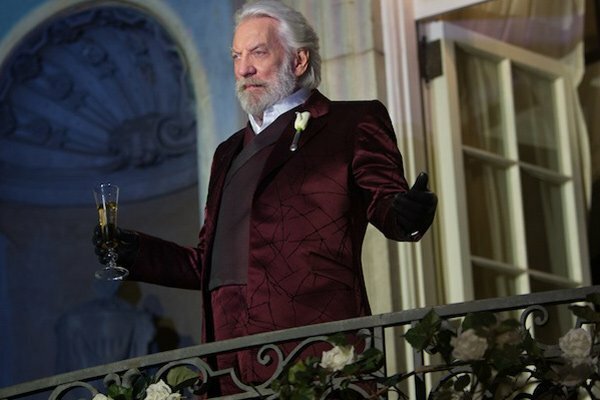 President Snow threatens Katniss with images, not words. In the book, when Snow comes to visit Katniss in District 12, he ends their tense conversation by saying "By the way, I know about the kiss"-- a nauseatingly immature thing to say, making him sound more like a jealous middle-schooler than a powerful tyrant. In the movie, he reminds her to continue toeing the line and leaves her with a little video projector that plays footage of the kiss-- a reminder that Capitol eyes are everywhere, and a way to imply that he actually cares about Katniss's feelings for Gale without having to sound ridiculous by saying it out loud. The entire Hunger Games series has been great about visualizing moments that Suzanne Collins takes forever to describe in the books, and this minor twist is a fantastic example. 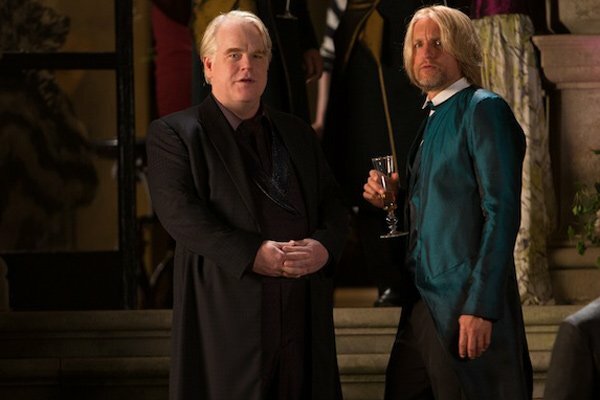 Plutarch Heavensbee doesn't show off his mockingjay watch. When Katniss dances with the new Head Gamemaker at a Capitol ball, in the book he keeps the conversation perfectly light but pauses to show off his pocketwatch emblazoned with a mockingjay. Katniss eventually puts together the watch and the arena's shape to realize it's a clock, and in the third book Heavensbee-- a conspirator on the plot to overthrow the Games-- reveals it was a deliberate clue. That would all be a little hard to connect in a movie, and would probably have read as too obvious to be understood by the audience, so the film changes their dialogue in that scene entirely. Heavensbee speaks in light innuendo that feels almost flirtatious, telling Katniss "Maybe it was you who inspired me to come back" and admitting how much he hates these parties. Philip Seymour Hoffman is really good at creepy flirtation-- you've all seen The Master, right?-- and this scene takes advantage of it, setting up Heavensbee as more than he seems far before he's revealed to be in on the scheme. Far less time is spent in District 12. Maybe thanks to some weird commitment to spreading the Games over a calendar year, Suzanne Collins spends a lot of narrative time in District 12 in the book, with Katniss brewing plans to start a revolution, the arrival of the new Peacekeepers, Cinna bringing in wedding gowns, Katniss and Peeta working on the family's herbology book (seriously??) 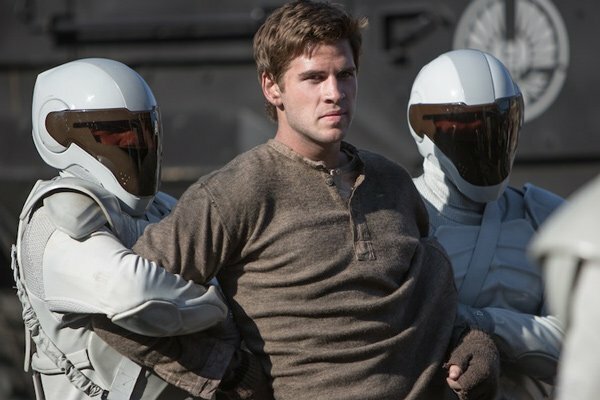 and, of course, Gale's whipping in the town square. Virtually everything but the whipping is left out of the movie, but it's impressive how much power these scenes manage to contain anyway-- screenwriters Simon Beaufoy and Michael Arndt deftly link Gale's whipping not to his poaching a wild turkey, but his defending the townspeople terrorized by the new peacekeepers. It leaves out some of the details that fans of the book might love, like the black coal dust erupting out of the Hob as it burns, but it allows the story to move on toward the Quarter Quell, where we all know it's headed. Bonnie, Twill and their rumors of District 13 are cut entirely. This is a significant change, essentially eliminating an entire chapter from the book, but one that won't actually impact the future of the series. In the book Katniss hikes out into the woods and runs into two refugees from District 8, Bonnie and Twill, who tell her how their district planned and failed to execute their own rebellion. They also have a theory that District 13-- said by the Capitol to be a post-nuclear wasteland-- may actually exist, and they are on their way there to find asylum. It's a lot of exposition for a single scene, and like the other District 12 scenes may have simply slowed down the narrative in the movie. But the film as a whole tamps down the emphasis on rebellion-- Katniss has no plans to lead revolt whatsoever, and is mainly focused on keeping her family safe. That ought to make the impact of what happens in Mockingjay all the greater, and given that Bonnie and Twill don't return in the third book, their presence wouldn't have been that significant anyway. Darius doesn't become an avox. The presence of avoxes-- servants with their tongues cut out-- in the Capitol is one of the more brutal details in the book, and one largely left out of movies. They have to cut some of the torture to be able to get away with a PG-13 rating, of course, but to explain what an avox is would require a lot of emphasis on the Capitol's torture methods. It's gilding the lily. Repeatedly in the Hunger Games books Suzanne Collins doesn't quite know when to quit emphasizing something-- think of how many times Katniss says to herself that she knows she's going to die-- and eliminating the avoxes is a way of getting rid of that over-intensity, along with streamlining the narrative just a bit more. "Remember who the real enemy is." 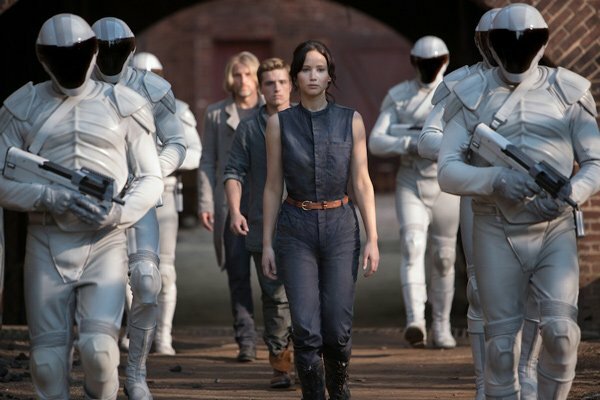 The final moments inside the arena are chaotic, in both book and movie-- Johanna seems to have stabbed Katniss, Peeta is missing, Finnick seems to be an enemy as well, and Beetee is lying half-conscious next to the force field. The thinking that Katniss goes through to figure out she's supposed to shoot the arrow into the force field is complicated and hard to follow even in the book, but it's smoothed out in the movie with one simple fix-- Finnick reappears to repeat Haymitch's words to Katniss, "Remember who the real enemy is." It's not only confirmation that he's still on her side, but exactly the reminder she needs to do the right thing-- and said out loud instead of magically popping into her head at the right moment.